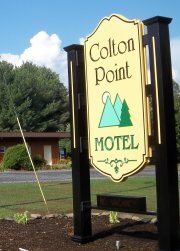 Our casual country lodgings offer spacious living accommodations, with color cable TV and private baths with showers. 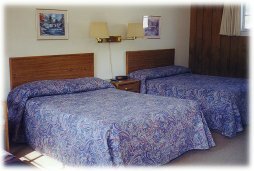 Family rooms will accommodate up to 5 persons. Excellent home-cooked country breakfasts are served daily in our comfortable dining room. In addition we have a 2 acre pond for swimming, fishing and paddleboats. Our spacious park-like grounds have a volleyball court. horseshoe pits and a swingset. Breakfast served daily. Hours are 8:00am-10:00am with extended hours during the weekend and peak season. 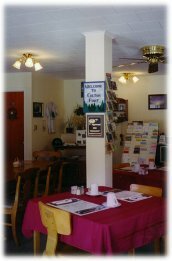 Whether you are a guest with us or just passing through the area... you are welcome to come in and enjoy a hearty, country breakfast!